Woodland Brewing Research: Not just sanitized, but sterilized! Short of having an autoclave in your home, this is by far the easiest way to prepare bottles that I have found. It's better not to use soap to clean your bottles. The soap will leave a residue that is detrimental to the head retention of the beer. Once the bottles are rinsed out they can be placed in the oven. 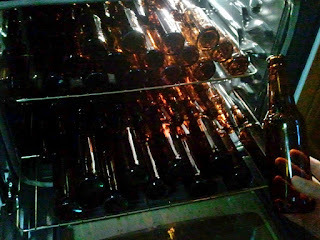 The racks in my oven allow over two cases of bottles to be sterilized which is perfect for a five gallon batch of beer. Once the bottles have been laid out inside set the oven to 350. 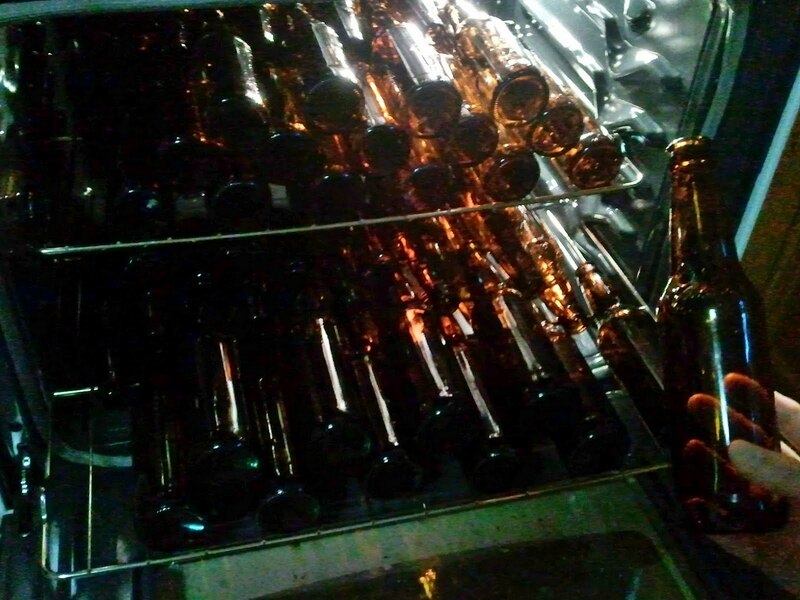 After 90 minutes turn off the oven, and the next day the bottles will be cool and ready to fill with beer. Placing foil over the tops of the bottle will keep most of the air inside meaning that the bottles can even be used at a later date as long as the foil stays intact.